I have been challenging the solar advocates that their fervent support was simply business as usual dressed up. 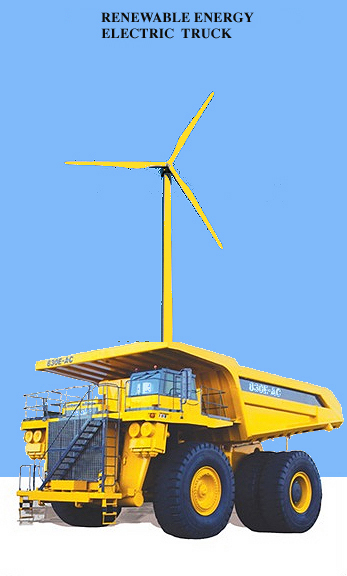 My research has used the videos of the industries themselves to show that the industrial history of solar and wind energy capturing devices are not green, renewable or sustainable. I see this advocacy for so-called “renewables” as maintaining the consumer society for a while longer. When challenged ‘what the electricity was to be used for’, the question was ignored or given lip service on the need for conservation. Instead of limiting per capita electricity use, the unrestrained and more importantly unmonitored “free” market was to be allowed to reign; thus essentially continuing its destructive assault on the earth and its life habitats. Just as importantly, is the implicit assumptions by these proponents that humans will change their ways and conserve energy and not consume, consume, consume. This is akin to Jevons' paradox (perhaps their is one more germaine). If the energy is available, what will stop continued consumption of tools and toys? Who will go first with this restraint and restricting? Think of the uproar if legislated. My challenges and research have gotten me unfriended, blocked, “yelled at” and insulted on Facebook. There is an ardor and almost religious fervor by these technoptimist; technofantasists; technophiles. I simply wasn’t prepared for what I found below. I was not prepared for the direct, overt and continued assault on the earth, the scale of it and how quickly it was happening. This stunned me. The installation at a Chilean copper mine is a giant step beyond tools and toys. It is BUSINESS AS USUAL in capitals and underlined. green and sustainable will be a joy to behold. 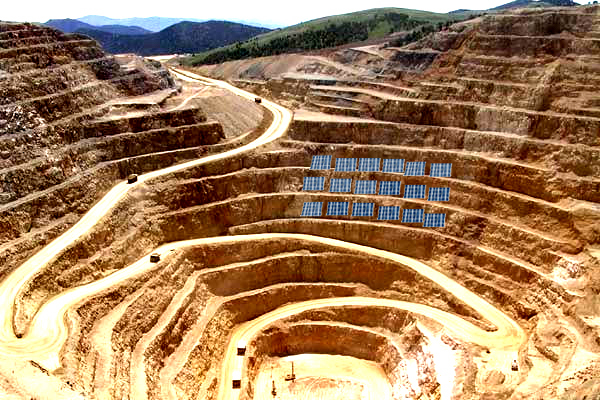 One of the largest copper mining companies in the world is set install a solar power project to power part of its operations in Chile. 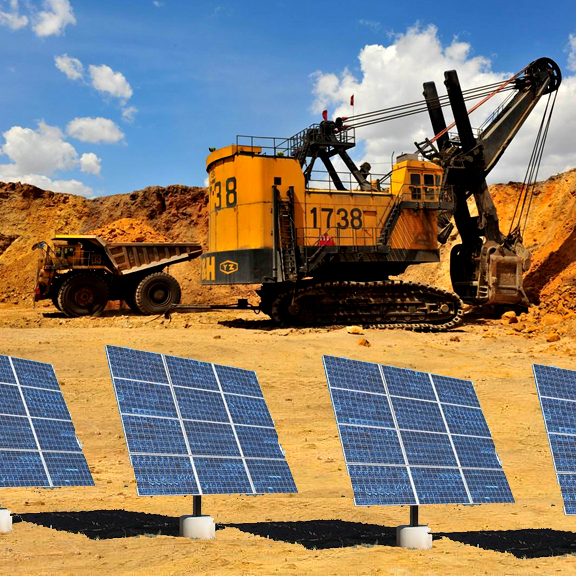 SunEdison has announced that it has signed an agreement with Antofagasta Minerals S.A. to set up 69.5 MW solar photovoltaic power project at one of the latter copper mine in Chile. 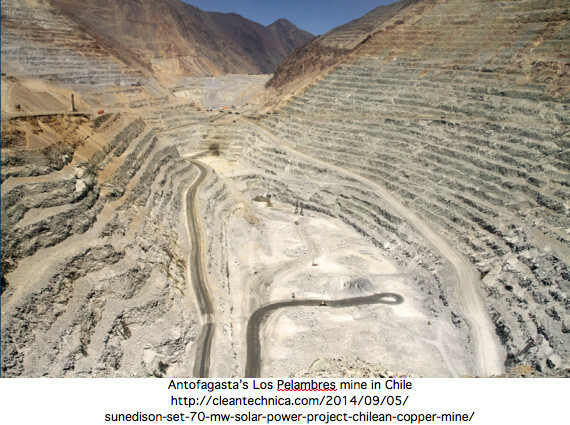 Antofagasta plans to use solar power to meet a part of the electricity demand at its Los Pelambres mine. were meant as cartoons with a tinge of sarcasm. Now, it is irony and reality.